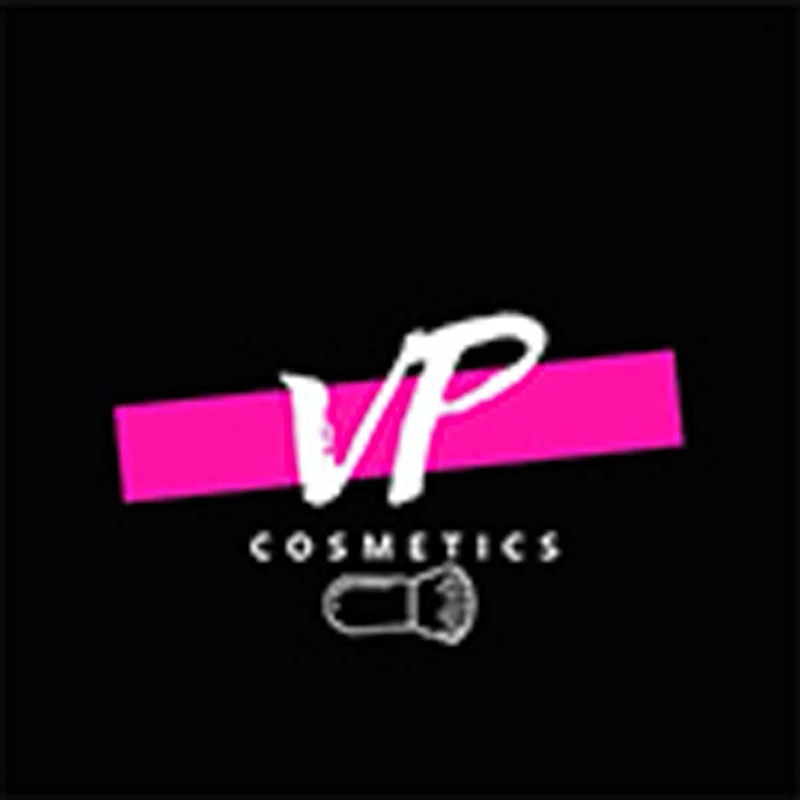 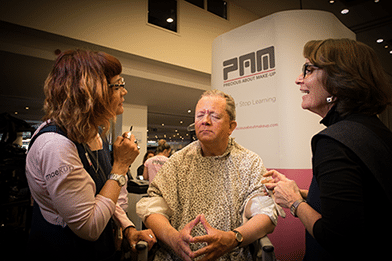 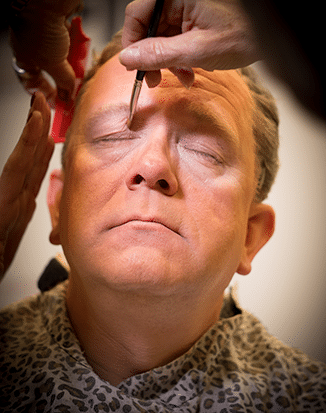 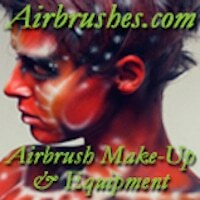 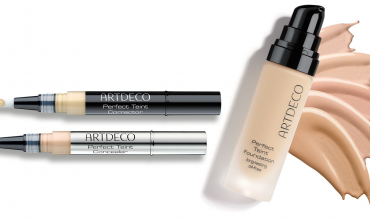 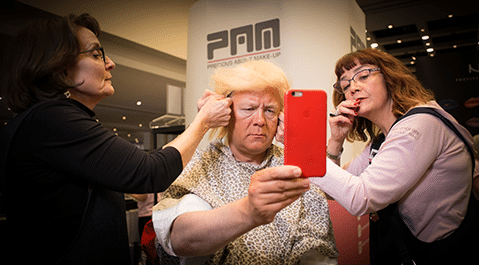 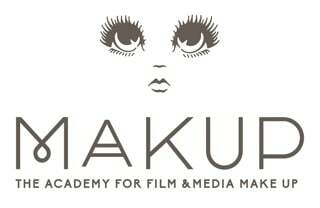 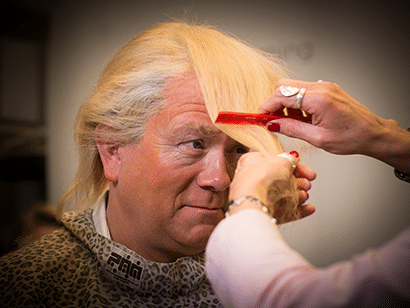 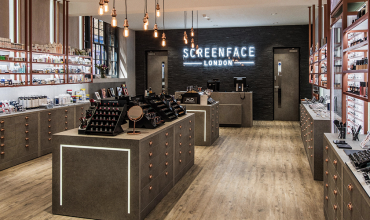 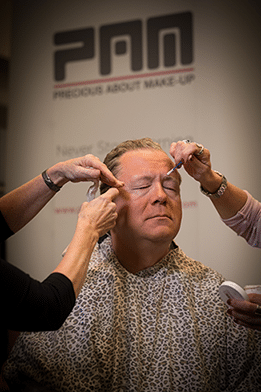 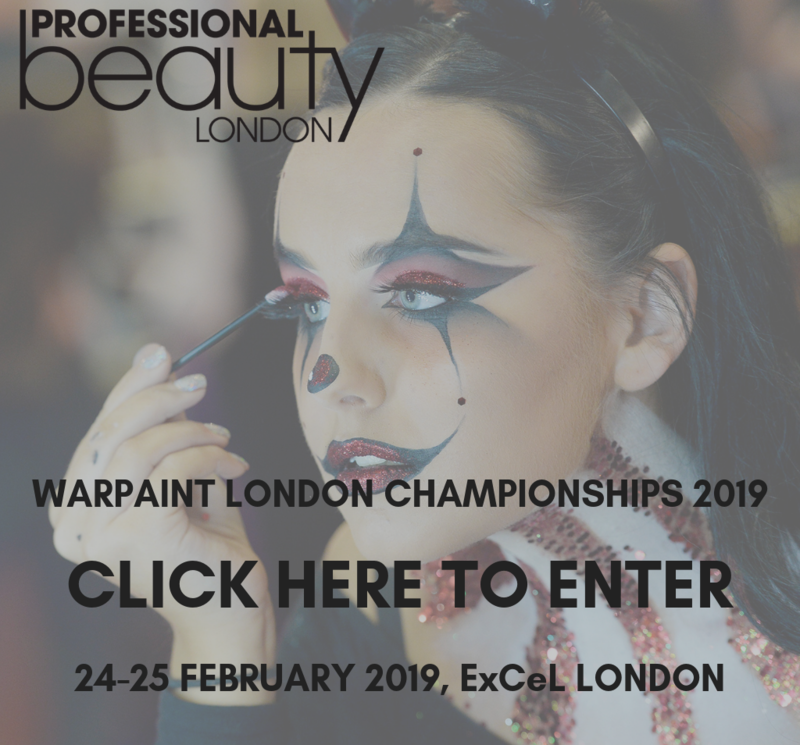 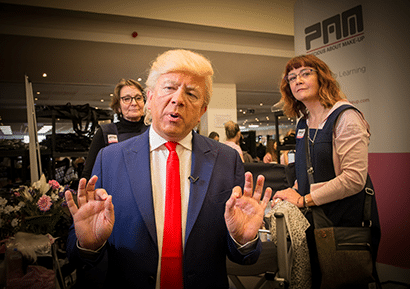 At this year’s United Make Up Artists expo, leading make-up artist Kate Benton from Precious About Makeup transformed impressionist and comedian Jon Culshaw into President Donald Trump. 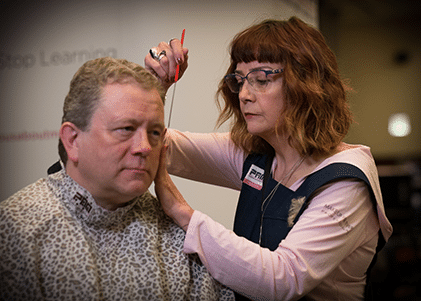 Emmy and BAFTA nominee, Kate has previously worked with Jon on the BBC satirical show, Dead Ringers, and with years of experience within the industry, she believes a successful lookalike depends upon tags that instantly allow us to recognise the character being portrayed. 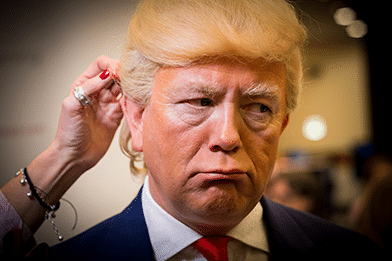 In this instance, Donald Trump is rich pickings. 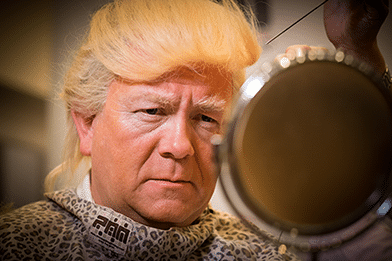 From the intricate sprayed comb over hair to the excessively burnt orange skin, it didn’t take long for Kate to work her magic and create the transition. 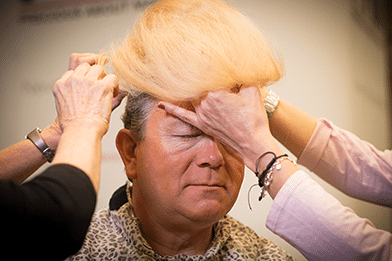 “Jon was air brushed with a few layers of Temptu and, as we didn’t want him to appear flat and two dimensional, we layered up with different hues of tan bases, ranging from golden to orange. 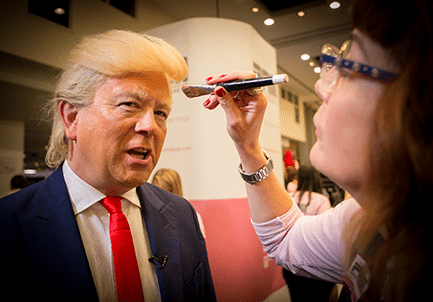 We highlighted around his eyes with a Temptu ivory creamy base to highlight the paleness of the skin and even used the same colour to paint some of Jon’s lashes, as Donald is so fair. 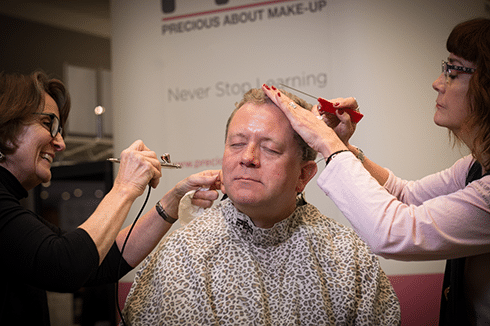 With his long but sparse eyebrows, we used individual Yak hair to lay on top of Jon’s own brows to make them appear long and straggly – first using Make Up Forever Clear Eyebrow Gel to comb Jon’s own brows up.